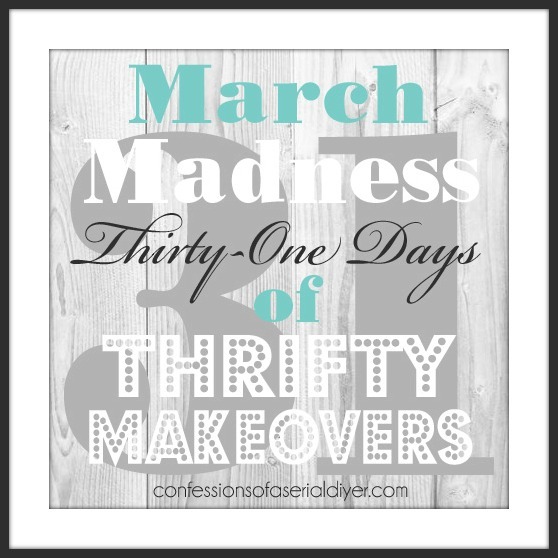 Time for thrifty Makeover #23, ya’ll! What?? 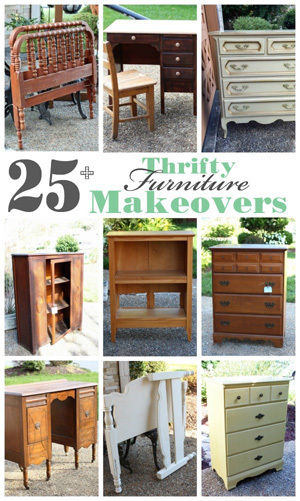 Only eight more left in this thrifty makeover series, but I’ve got some good ones still to come! 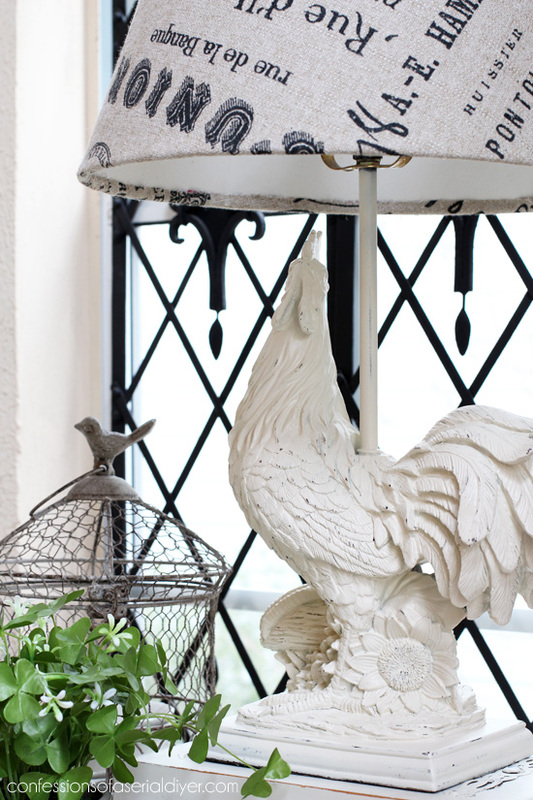 She was over the rooster thing and it no longer matched her kitchen, but she was undecided at the last minute whether she really wanted to sell it. I think it looks like a whole new lamp! …and sanded a little, brown would show through instead of a multitude of colors. Then I knew I needed to do something with the shade. I grabbed this left over French fabric from Hancock Fabrics that I’ve used many times before, to cover the shade. 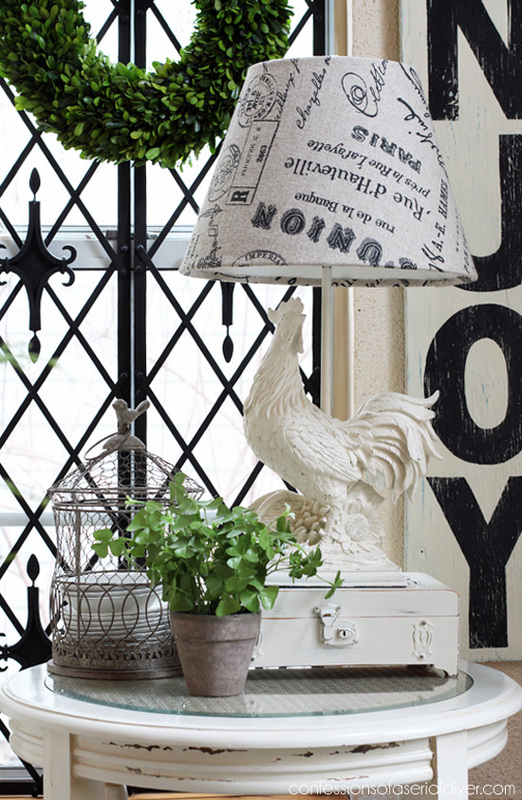 I think it looks great with the rooster! She doesn’t love a super shabby look, so I only sanded lightly. 2. Lay out the newspaper. Connect a couple of pieces together with tape if necessary to get a piece large enough. Roll the shade up in the newspaper. 3. Fold the top and bottom edges over to fit the shade, and mark all around the top and bottom with a sharpie. 4. Unwrap the newspaper from the shade and cut along the line, but at least 1/4 inch bigger on both ends. This will give the fabric needed to fold over the top. 5. Pin the newspaper pattern to the fabric and cut. 6. Position the shade on the fabric and roll, hot gluing in place as you go. Fold over the excess at the top and bottom and secure with hot glue. 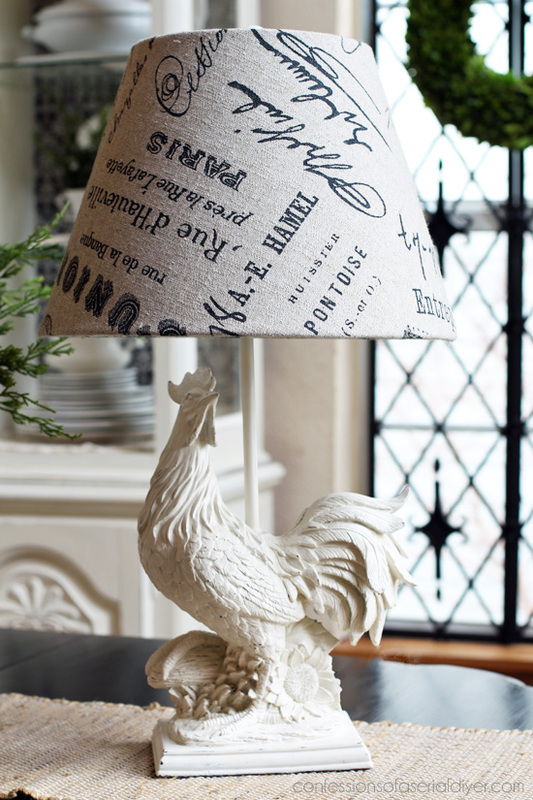 New fabric really updates the feel of this lamp. You could this project in an afternoon. I’m excited about tomorrow’s post. It’s Themed Furniture Thursday and I’ll be giving this headboard a farmhouse feel to go with this month’s Farmhouse theme! 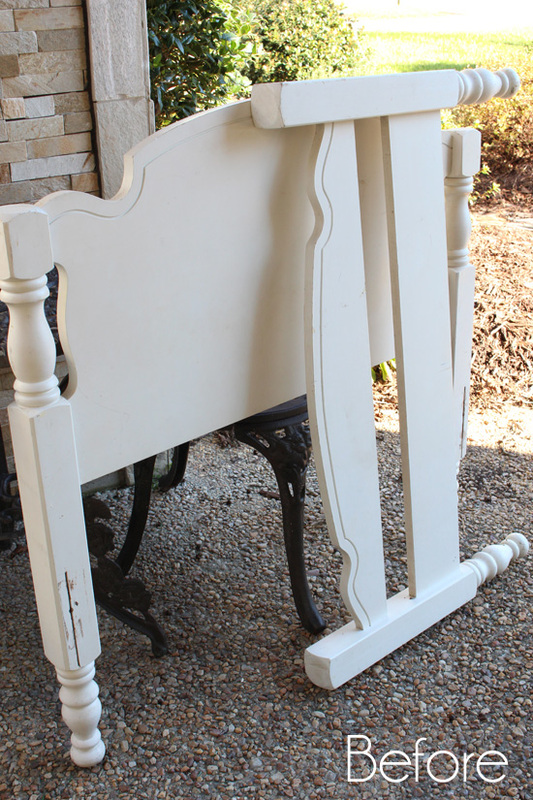 UPDATE: See what I did with this Headboard HERE now! 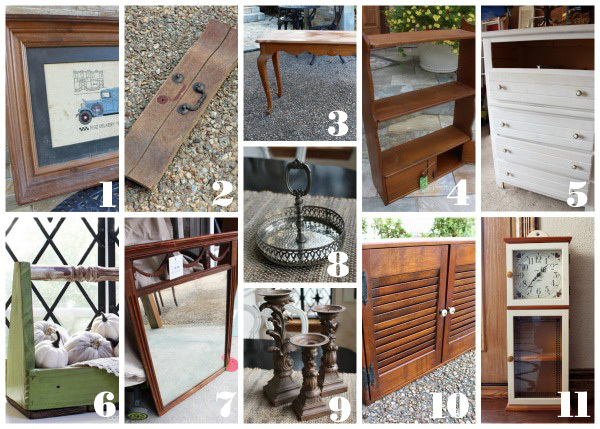 If you missed any of the makeovers in this Thrifty Makeover Series, grab a cup of something yummy and get comfy…here are all 22 so far! WOW, LOVE IT!!! You are SO Amazing! I sure bet your Mother is SO proud of you and how creative you are!! Just when I think you can’t do anything more creative than you have already done this month, you do it again. Amazing!! You go girl!!! Hello Christy! 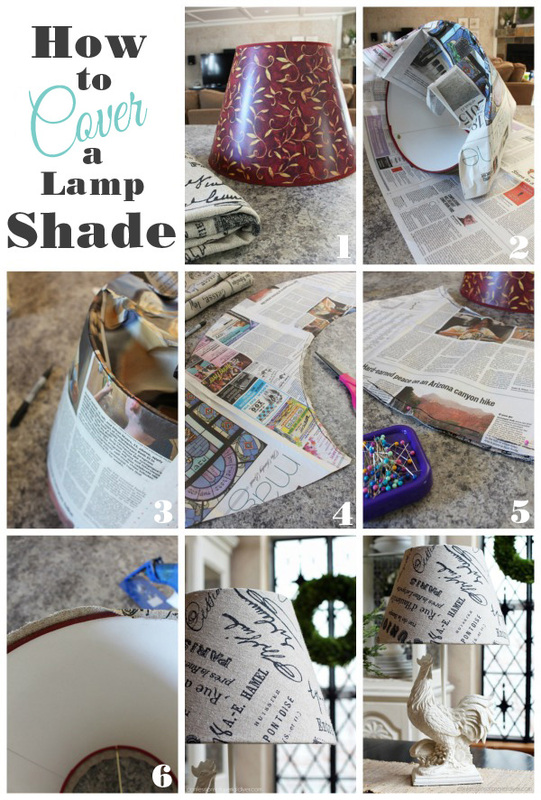 First, thank you for the tutorial on how to cover a lampshade. After reading yours, it doesn’t sound so hard. 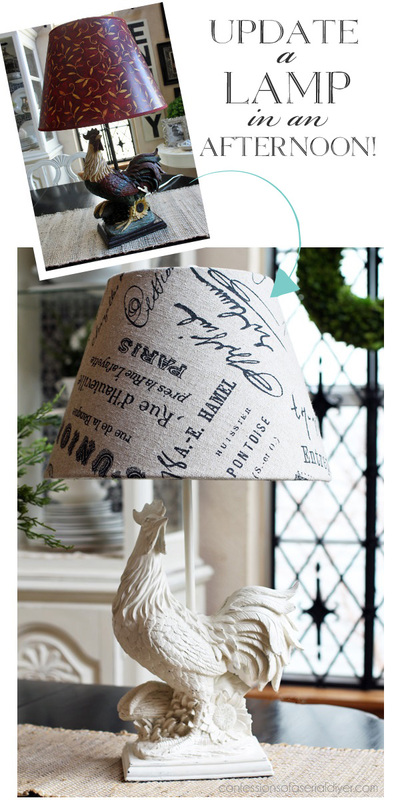 Secondly, I really love the shade and the lamp! I liked the before and love the after. Thanks a bunch for sharing! This is gorgeous!!! 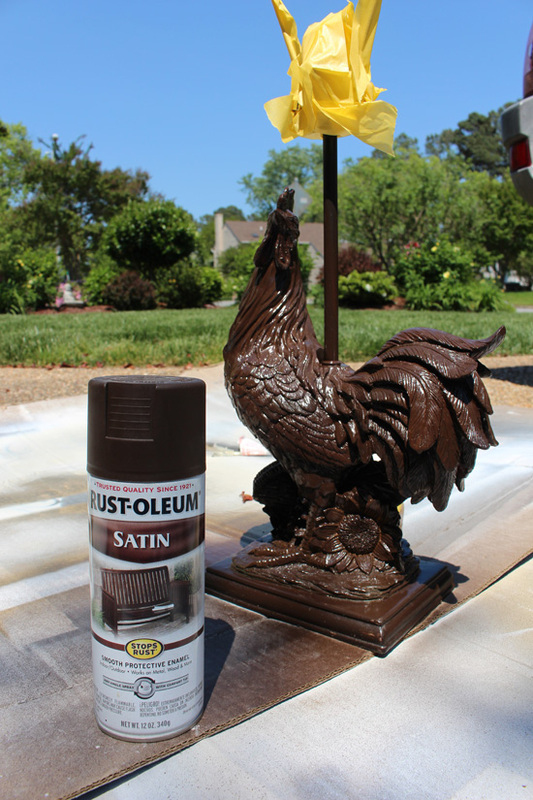 My mom just gave me a colorful rooster to makeover for her. This is perfect inspiration! 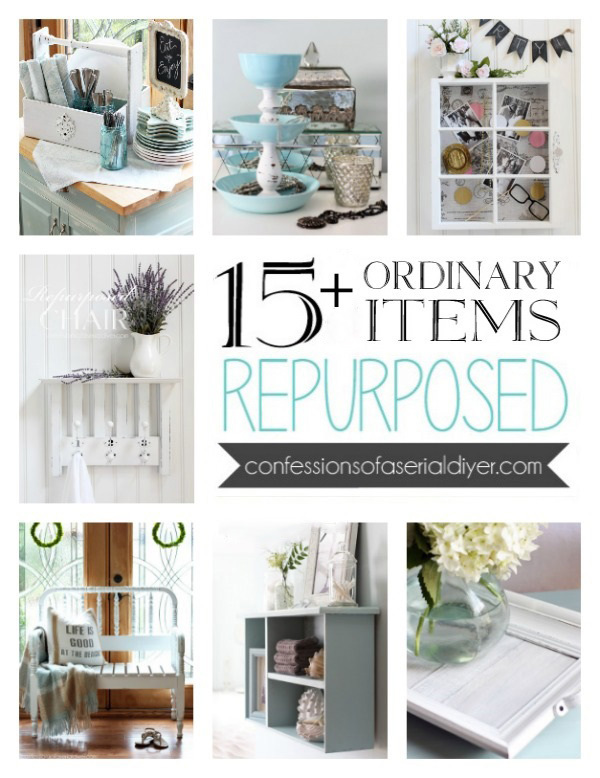 Just found you on Pinterest and I have loved every post I can read of yours!!! Thank you for all you share! Love it. Thanks so much for sharing where you got the fabric for the shade. Been looking owing for some like that. I have really enjoyed the March makeover you’ve participated in. Love it! It definitely looks like a different lamp. Much, much better! What an amazing transformation! I don’t have words….! I have passed on so many lamps but not any more! Thanks so much, as I’ve said before I’m going to miss your daily tutorials. I feel like I have been going to design school, LOL!! On another note, I do go to the thrift stores as you do, but so does everyone else around Charlotte! Are there any tips on when to go or is it just luck that you find such good “junk”? I’m in love with this lamp now!! 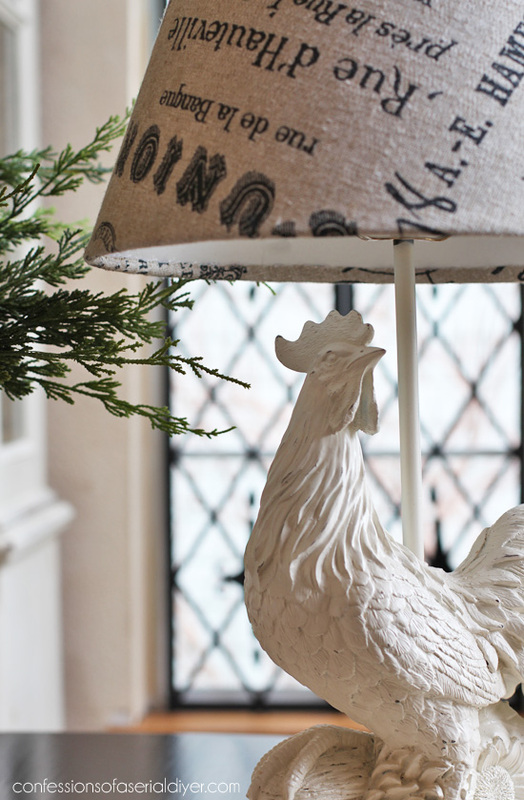 I would have never imagined it like this, and I’m really not into farm animals but I’d have this lamp in my home in a heartbeat! 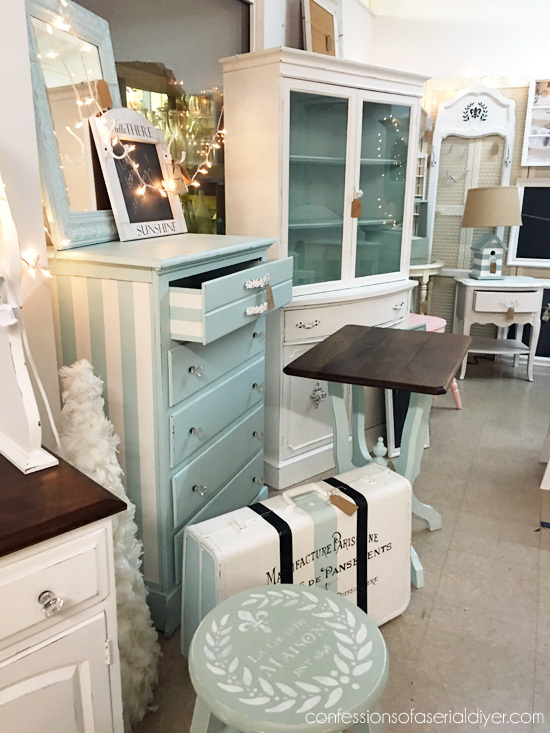 Beautiful makeover! 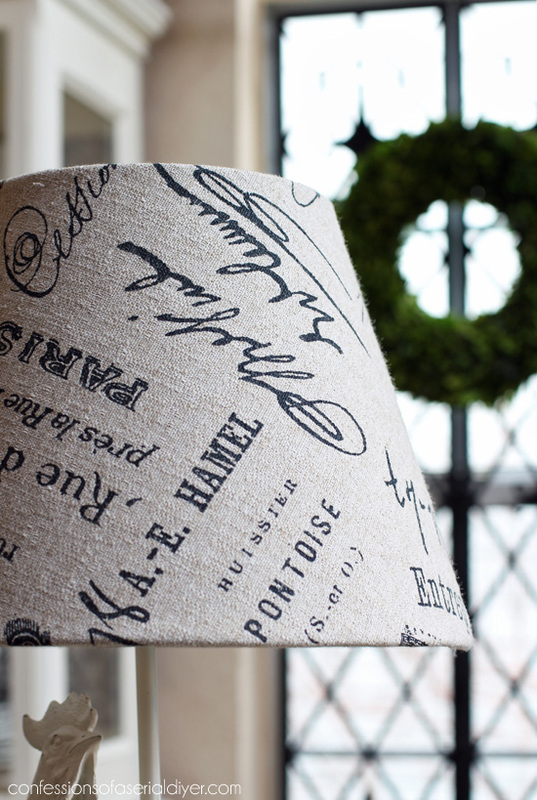 And thanks for the lamp shade directions, I needed to know how to recover a shade and now I do! Woohoo!! I just love it. I think I might keep the lamp for awhile if I were you, it looks great right where it is. Thanks, Treva! My Mom keeps it on the counter in her kitchen and I brought it home to photograph it. She kept asking when she was getting her lamp back lol! On another subject I also go to the goodwill stores but so does everyone else in Charlotte! Are there any tips you have or is it just pure luck that you find such great “junk”! I love what you did to this lamp. 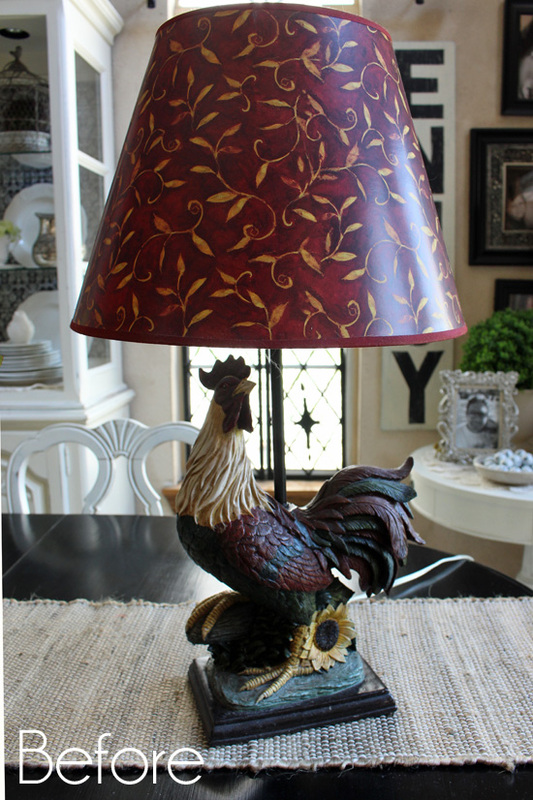 I have a rooster lamp and I have been wondering what to do with it now I know, Thanks so much. Amaaazing! I totally had my doubts how you could update this. But you did it once again. I love it!!! You gave me an idea with the rooster. 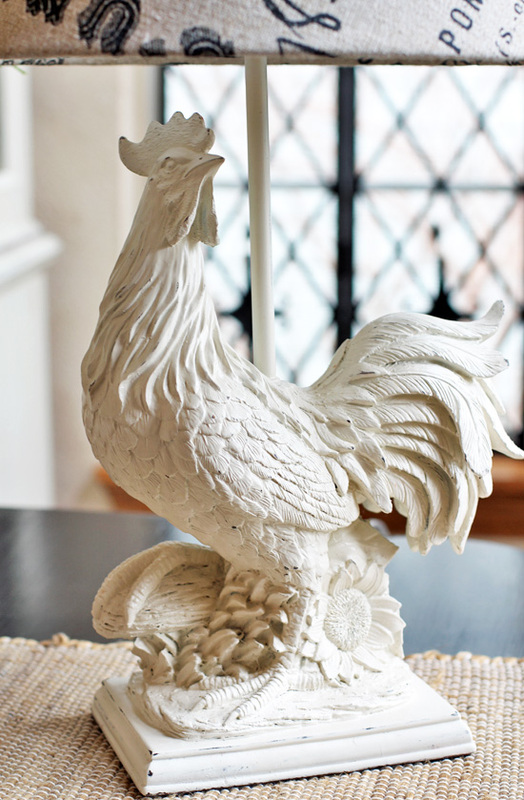 I have rooster bookends that are hiding in my cabinet. I’m going to give them new life with white paint. 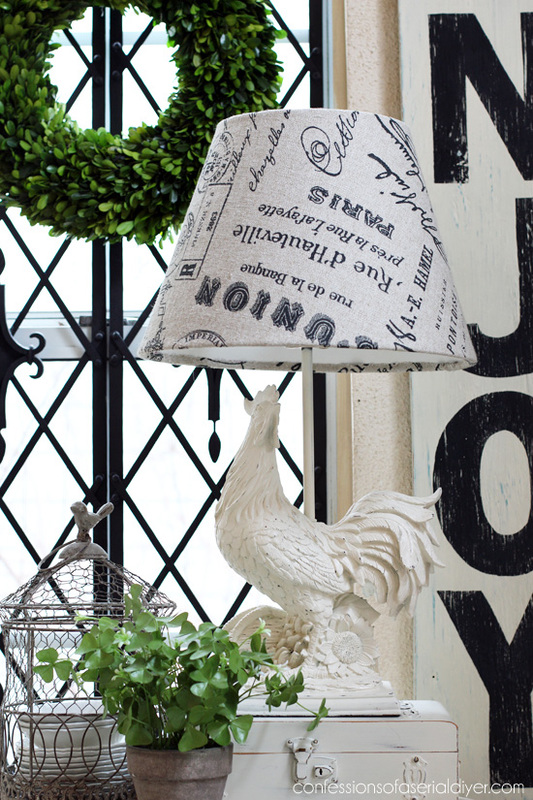 I love what you did to the lamp & shade. I love all your make-overs! You have a gift…to be able to see what something will look like after you have worked some magic on it -where I just see the ugly “before”!!! I’m hoping some of your ideas will rub off on me! What a great makeover! It turned out awesome. I am so enjoying this March Madness Series. 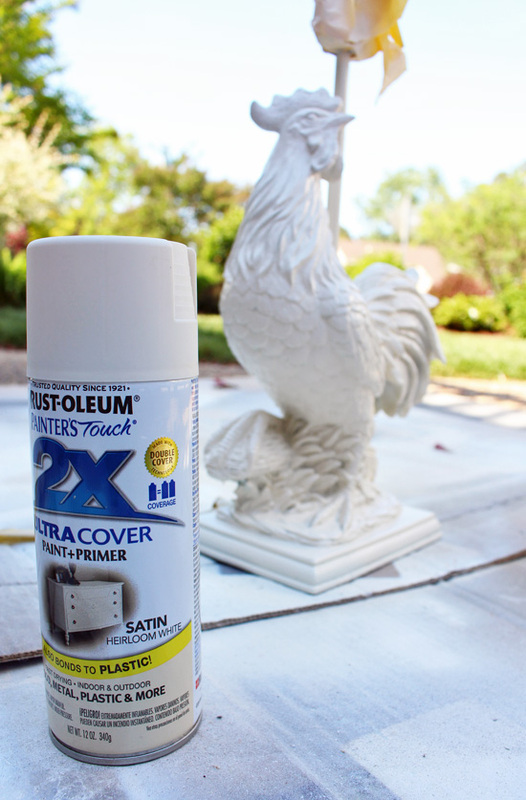 Roosters are definitely not my thing, never really have been even when they were super popular but I cannot believe this makeover! It looks so great! Did you give it back to your mom? New life to a dead chicken!!! Wow!!!! Me did not like before….REALLY updated!!!! 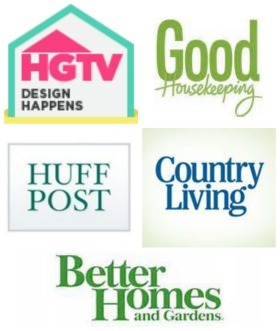 It is great to see how little effort can make things useful again….and keep them out of the landfill. I think the distressing on this is perfect. Me now likes!!!! That is such a great transformation! I’m sure your Mom must love it. 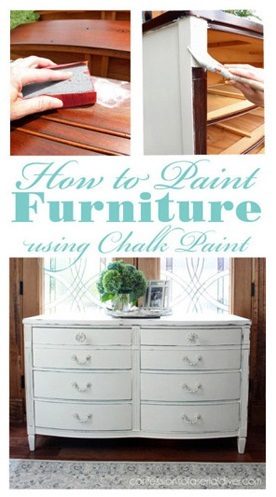 I am always amazed how paint transforms a piece of art, furniture or room. Really enjoying your March Madness Makeovers. That rooster just went to a day spa. What a transformation. Paint is wonderful, isn’t it? 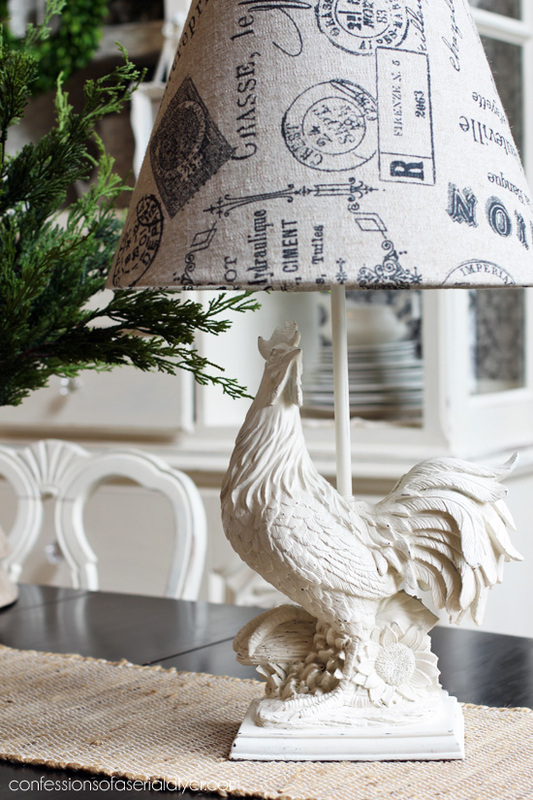 Oooooooh, I want that lamp, haha! I love it! You took pretty good and made it GREAT!!! As usual you knocked it out of the ballpark! 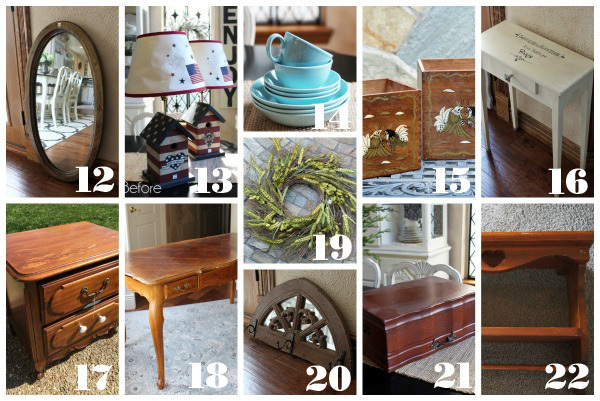 I especially love how you give us step by step instructions along with listing products and colors used, so we can do similar projects. I also love that you include a GREAT image for pinning that has the before and after. These things are what sets you apart from all the rest!